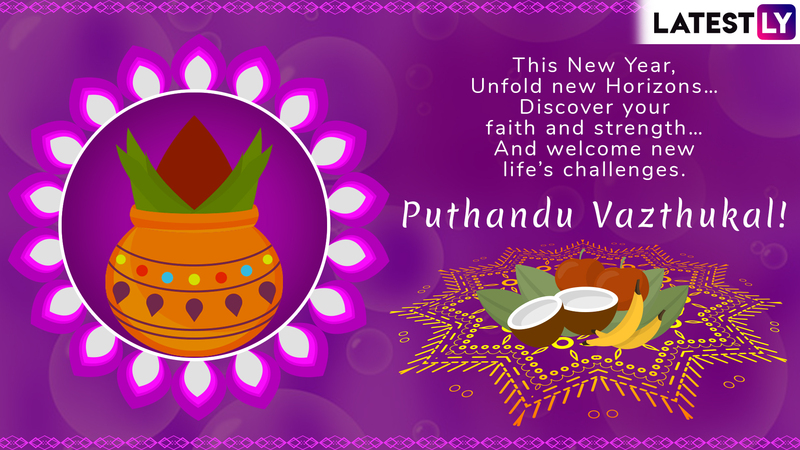 Puthandu which is the Tamil New Year will be celebrated on April 14, 2019. The festive day of Puthandu is also called as Varusha Pirappu, which marks the beginning of the first day of the month of Chithirai, in the Tamil calendar. Any new year celebration is a time to bring in positivity, meet and greet with family and exchange good wishes. So Tamilians too exchange Puthandu Vazthukal wishes and messages with their friends and family. Besides, on the day of Puthandu, there are other festivals like Vishu in Kerala, Pana Sankranti in Orissa, as Poila Boishak in West Bengal, Bihu in Assam, and Vaisakhi in Punjab. 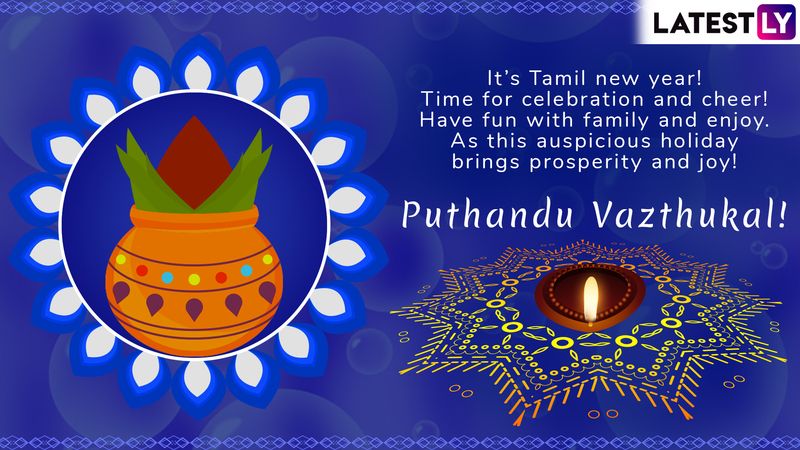 People look out for Puthandu greetings and images which they share on Facebook or send via WhatsApp. We give you a collection of Puthandu wishes and messages, GIF images and WhatsApp stickers which you can send to your friends and family. Puthandu 2019 Date: Know the Significance and Celebrations of Ringing in Tamil New Year. 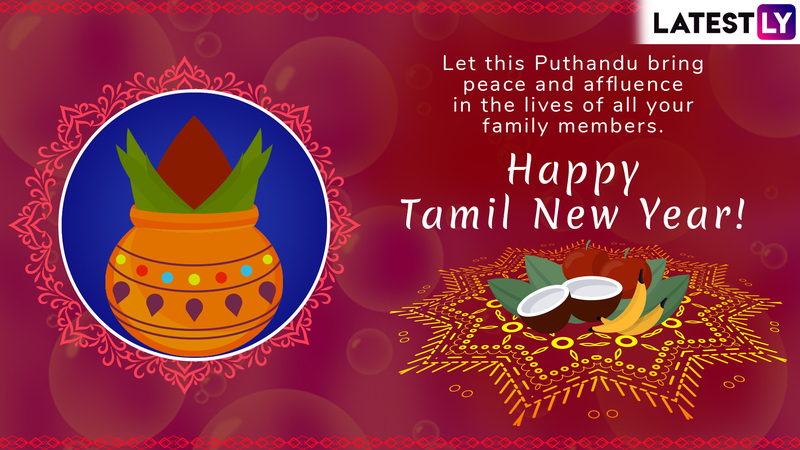 Puthandu is celebrated with great zeal and enthusiasm not just in Indian states but also in other countries. Tamil speaking community in Sri Lanka, Malaysia, Singapore and Mauritius bring in the festivities for this day. People decorate their houses, perform a puja to seek blessings of the divine and exchange goodwill and prosperity messages with their friends and family. 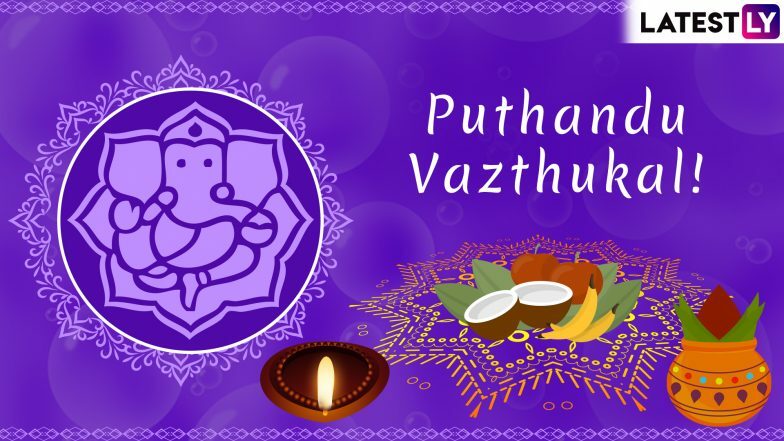 Given below is a collection of Puthandu Vazthukal messages, GIFs, greetings and wishes which you can easily send to convey your best wishes. Puthandu Recipes 2019: From Panakam to Paruppu Payasam, Relish These Traditional Tamil New Year Dishes. 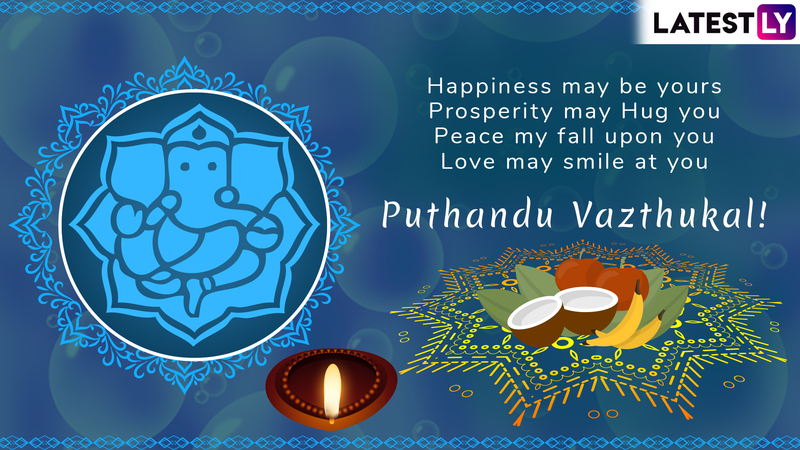 The Divine blessings… Of happiness and Prosperity, Puthandu Vazthukal! Message reads: It’s Tamil new year! Time for celebration and cheer! Have fun with family and enjoy. As this auspicious holiday brings prosperity and joy! Message reads: This New Year, Unfold new Horizons… Discover your faith and strength… And welcome new life’s challenges. Puthandu Vazhtukal! Message reads: Let this Puthandu bring peace and affluence in the lives of all your family members. Happy Tamil New Year! Peace my fall upon you, Love may smile at you. Puthandu Vazhtukal! You can also send similar GIFs for wishing happy new year, Happy Tamil new year and the likes. WhatsApp stickers are another way of conveying your wishes. Thanks to the recently introduced feature of stickers, you can send your messages on just the click of a button. You can search for Tamil WhatsApp stickers and send them through the messaging application. 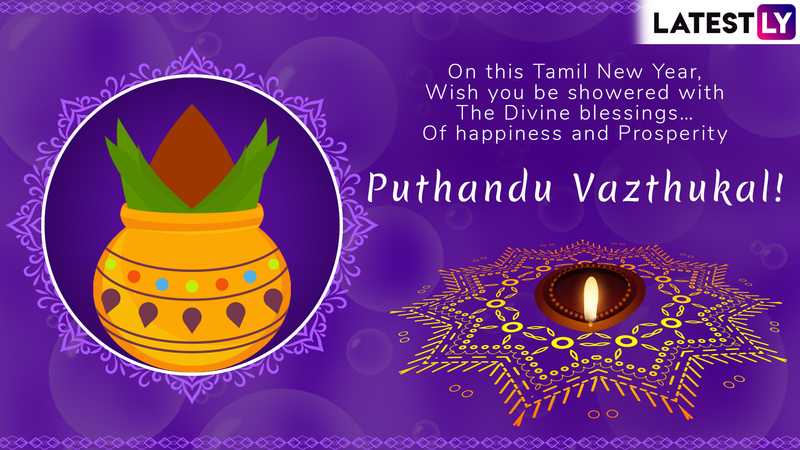 We hope the above images for Puthandu Vazthukal, Puthandu messages and wishes help you to send your heartfelt greetings to your friends and family. We wish you all a very happy Tamil new year 2019!